Dale Crawford was born in California and began his life on a dairy farm. His father soon sold the dairy and eventually purchased two farms to produce watermelons, peaches, almonds and walnuts for market. A Ferguson TO-30 was purchased for the difficult work. Dale’s dad was so successful the local FFA sent students to see proper farming methods being used. Dale’s work career was as one of the first truck drivers with what was then a beginning Arkansas enterprise called Wal-Mart. In 1975 he went to work as the 23rd driver with the company after being interviewed and hired by Sam Walton himself. Dale retired from driving for Wal-Mart in 1998 after having driven an amazing 4.2 million miles. After retirement, he was introduced to old engines by Jim Caylor, his brother’s father-in-law who was a restorer of old engines and a member of EDGE&TA, Branch 13, in California. In this small world, Jim gave Dale the phone number of Randy Gallaway, a Tired Iron of the Ozarks, Branch 37, member back in Northwest Arkansas. Dale called Randy and learned all about Tired Iron. 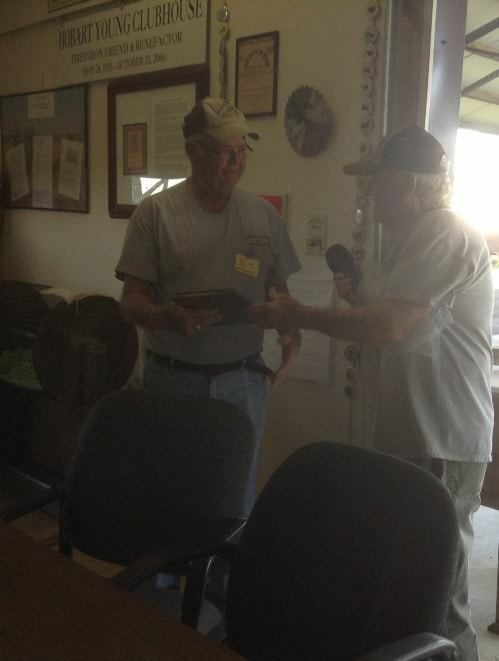 In a few days, Dale visited a club display of tractors and engines at a special occasion. He liked what he saw and joined Tired Iron and has been an active member ever since. At the time he joined, Dale didn’t have any engines. He soon bought two engines from another Tired Iron member. The engines were an LB International and an incomplete but running Fuller Johnson pump engine. He now has fourteen old engines, some of which are quite rare. His collection also includes several engine-operated implements. They include two metal saws, several water pumps, and two corn grinders. His favorite engine to exhibit is his 8 H.P. Witte engine which powers a big buzz saw for sawing logs. Dale is any club president’s dream member. 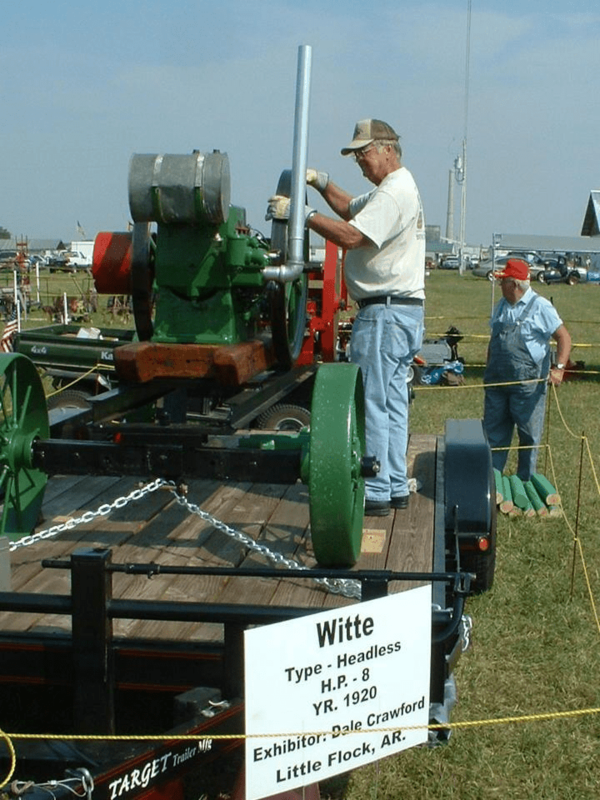 He willingly and frequently trailers his exhibits to events all around Northwest Arkansas, Eastern Oklahoma, and Southwest Missouri where crowds of people gather to hear about his engines. Dale serves as an excellent ambassador for Tired Iron at these special presentations and at our shows as he attracts people from all walks of life to Tired Iron and its mission to the region. Dale has served Tired Iron as a director for the last six years and has just been elected for another three year term.